During the Clinton Administration, President Clinton tried to pass a health care reform package. Why did he try to do it. The answer is simple. This country needs it. There are just too many people that cannot afford the coverage. But the answer always seems to be to tax the rich. With a $1 Trillion price tag this go around, and it's a bill that would require allot of work to get such a bill passed. That is the reason why President Obama is taking this issue directly to the people. Now why does he have to do that? Well this time around, he doesn't even have a majority of democratic support, let alone enough bi-partisan support. The health care reform bill is weighed down with complex problems, and this bill can be one of the most important bills to be sent to his desk for signature. But in this case, it could be one of the most important bills not to reach his desk, unless he gets democrats and republicans alike to sign off on his health care reform plan. President Obama knows that if he cannot get a majority of democratic support, his plan would be all but doomed. This would be a disaster for President Obama. President Obama promised that he would get a health care reform bill passed this year, but if it fails, it most likely will get shelved for a long time, just like it did during the President Clinton administration. President Obama is putting his future career on the line here with this bill. The conservatives want to do everything possible to get him pushed out of office, but in this case I think that they still wouldn't have enough muster to get him out. Many people from the left may abandon him also after the failed vote on health care reform, but there should still be enough followers to keep him afloat, even to push him through to his next term. But don't underestimate the importance of passing this bill in his eyes. He knows that if it does not pass, not only will he have a very difficult time in getting another health care reform bill sent to Congress this year or next year for that matter, he would then loose allot of support for future bills that he wants to put through Congress. His popularity level is going down, but with the failure of the Health Care reform bill, President Obama's popularity most likely will continue to sag. But just remember, he is not even through his first year as President. Do you think that the failure of this bill will kill his desire to pass other measures through Congress. Personally, I think not. He is not afraid to take chances and take his message to the people if he has too. 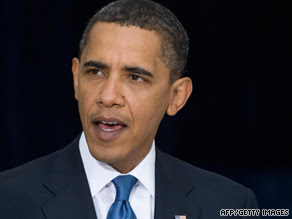 And what better person is there to be a communicator to the people than President Obama. The American people hasn't seen anything like him since the days of the famous communicator Ronald Reagan. President Obama is not a quitter. One of the things he must do, especially since he may loose the health care bill, is to re-win over the conservative Democrats, somewhere totaling near 40. These are the Democrats that can kill any bill they want to kill, and side with the Conservative party on issues as they desire. When you stop and think about it, President Obama to date has not lost any large bill that he wanted passed. There will be other major trials to come his way as far as new legislation goes, and he has at least 3 1/2 more years to test his Congress. In 2012, the real test will be to see who will run against him, and whether he would desire to re-run for President. As I said, he is not a quitter, and I feel confident that he will run again, regardless of what results are claimed for the health care reform bill.